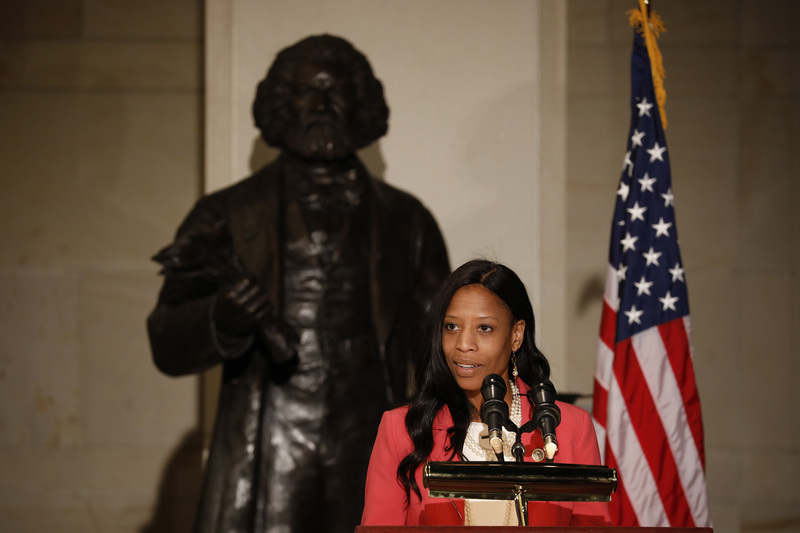 Utah Republican Rep. Mia Love filed suit Wednesday to pause ballot counting until a judge addresses her allegations that poll monitors have not allowed Love’s campaign to challenge the authenticity of ballot envelope signatures. The suit comes as Love is behind in a tight race with Democratic congressional candidate and Salt Lake County Mayor Ben McAdams. McAdams’s lead slipped from 1,229 votes to 873 votes Wednesday, reported The Salt Lake Tribune. That’s a margin of 0.36 percent, and under Utah law, candidates can ask for a recount when separated by a margin of 0.25 percent or less, according to The Washington Post. Love alleges that while her campaign team is allowed to observe the ballot-counting process, their requests to challenge the authenticity of voter signatures have been ignored. “A right of observation without a right of challenge, however, is a hollow right indeed,” Love’s suit claims. The suit names Salt Lake County Clerk Sherrie Swensen as the respondent. Swensen is represented by County District Attorney Sim Gill’s office, which filed a motion to dismiss the lawsuit as “procedurally and substantively flawed,” reported The Salt Lake Tribune. Love and McAdams’s election results will be finalized on Nov. 26. County clerks have a Nov. 20 deadline to count all ballots, according to WaPo. President Donald Trump called Love out for her reluctance to embrace his policies during a speech on Republicans’ midterm election performances Nov. 7. Incumbent Love led McAdams in the polls until late October, when a poll gave McAdams a six-point lead. RealClearPolitics rated it as a toss-up. Love has represented Utah’s 4th Congressional District since 2014, but McAdams has proven to be a tough challenger who has campaigned as a middle-of-the-road candidate. He has been elected as mayor of Salt Lake County twice — and that county holds roughly 85 percent of the 4th District’s residents, according to The New York Times. Florida and Georgia have also had hotly contested races with candidates litigating throughout the vote-counting process. Republican Florida Senate hopeful Gov. Rick Scott plans to appeal a Wednesday ruling that created a Saturday deadline for Florida voters to verify mismatched signatures on mail-in and provisional ballots. And in Georgia, Republican gubernatorial candidate Brian Kemp has declared victory while his opponent, Democrat Stacey Abrams, has filed litigation in multiple counties alleging instances of voter suppression.